8:30 a.m. — A report of a motorist passing a stopped school bus that had its doors open and lights on was investigated on Cherry Street. 12:37 p.m. — An employee of Rich Oil reported receiving a counterfeit $100 bill. The person who passed the bill to the clerk was still at the station, was cited and released. 1:56 p.m. — A wallet foundwas turned over to officers at the station. 4:09 p.m. — An East Walnut Street resident reported an elderly lady banging on the door of their residence with a cane. 5:16 p.m. — A Galion man was arrested for violating a civil protection order and issued a citation for driving under suspension after officers were notified of a reckless driver coming into Galion on Ohio 309. 5:57 p.m. — A report of an unruly juvenile in the 700 block of East Church Street was investigated. 11:27 p.m. — A report of a young child running around the area of the Galion High School in his underwear was investigated and the child was released to his father. 3:22 p.m. — A woman was was arrested on a Richland County warrant after a drug investigation in the 900 block of High Street. She was turned over to Richland County authorities. 6:37 p.m. — Officers assisted EMS with a possible overdose in the 800 block of South Boston Street. A woman was arrested and taken to the Crawford County Justice Center to be held for court. 8:20 p.m. — A report of children left alone in a vehicle at Dollar General was investigated. 9:28 p.m. — A South Market Street resident reported a man came to the doorand pretended to have a pizza when the resident did not order one. Extra patrol was placed in the area. 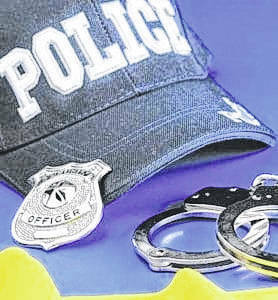 1:06 a.m. — A report of a fight was investigated in the 200 block of Harding Way East and a 38-year-old Galion man was arrested for disorderly conduct. 1:24 a.m. — A report of medication stolen from Galion Hospital by a patient’s spouse was investigated. A man was arrested for possession of Oxycodone. 3:14 p.m. — A Cherry Street resident reported a motorist hit a fence in their yard sometime in the past week. 10:33 p.m. — A domestic dispute was investigated in the 100 block of North Jefferson Street. 12:43 a.m. — Officers assisted the Crestline Police Department with the K-9 in the search of a vehicle. 9:19 a.m. — An East Walnut Street resident reported a vehicle broken into and tools stolen. 10:34 a.m. — Officers assisted with a patient at Avita in the 100 block of Harding Way West. 11:18 a.m. — A non-injury accident was investigated in the 400 block of Harding Way West. 2:30 p.m. — A non-injury accident was investigated on West Walnut Street. 3:24 p.m. — A report of a young child unattended in the Fairview Avenue area was investigated. 4:24 p.m. — A Dawsett Avenue resident reported a garage broken into and ransacked. Nothing appeared to be missing. 4:36 p.m. — Children Services personnel requested assistance from officers in the Cedargate Apartments area. 7:14 p.m. — A woman was arrested for disorderly conduct in the 200 block of Hessenauer Drive. 4:03 a.m. — Officers assisted the Galion Fire Department with a vehicle fire in the 500 block of East Church Street. 9:52 p.m.-A vehicle hit a light pole in the 900 block of Wedgewood Circle then left the scene. The vehicle was stopped by other agencies on Ohio 61. 11:26 a.m. — Officers assisted an elderly woman motorist in the 700 block of Millsboro Road. 12:28 p.m. — A report of an unruly juvenile in the 900 block of South Market Street was investigated. 2:07 p.m. — The city’s meter department reported the theft of utilities in the 800 block of Harding Way West. 3:43 p.m. — An accident involving a pedestrian and vehicle on Harding Way East was investigated. A woman was issued a citation for failure to yield the right of way in a crosswalk. 4:23 p.m. — A report of a group of juveniles smoking and swearing loudly at Heise Park was investigated. 4:48 p.m. — A Charles Street resident reported loaning their vehicle to someone that was refusing to return it.